We are leading Manufacturer of Inconel Pipe Fittings in seamless, erw & forged such as elbow, equal tee, unequal tee, bend, reducer, stu bend, fabricated elbow & size sother fittings etc in different grades . We are offering Adjustable Branch Tee to our clients. 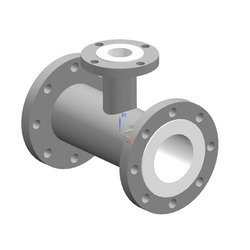 SIZE : Equal Tee 1/2"~12"
We have marked a distinct and dynamic position in the market by providing a high quality array of HDPE Fabricated Reducing Tee with utmost quality. The offered reducing tee is designed and manufactured at vendors' end using quality approved raw material and innovative technology. We are offering a large range of superior quality Stainless Steel Tee Fittings to our clients. These find an application in various industries and are known for their qualitative features. 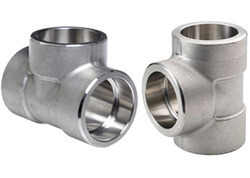 These stainless steel tee fittings are available in different diameters & specifications. These Stainless Steel Tees are available in all grades.